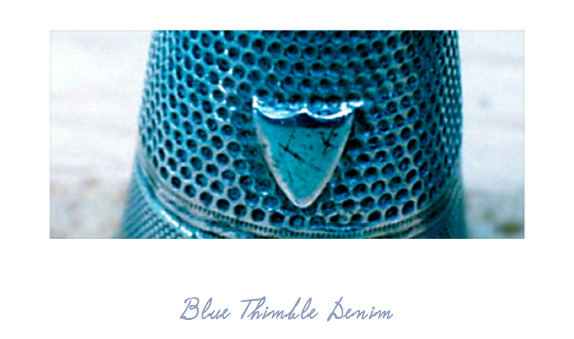 Blue Thimble Denim: The Beginning of a BIB. The last project before I go away to Stockholm for my internship has now started, and hopefully I will get it done until I leave. I only have two half-days to finalize it so it might be a little tight. Here I have cut out my pattern that I've drawn on a silk paper. I used the same basic pattern as on the latest jeans that I've made, but with a few adjustments and of course adding of the bib. 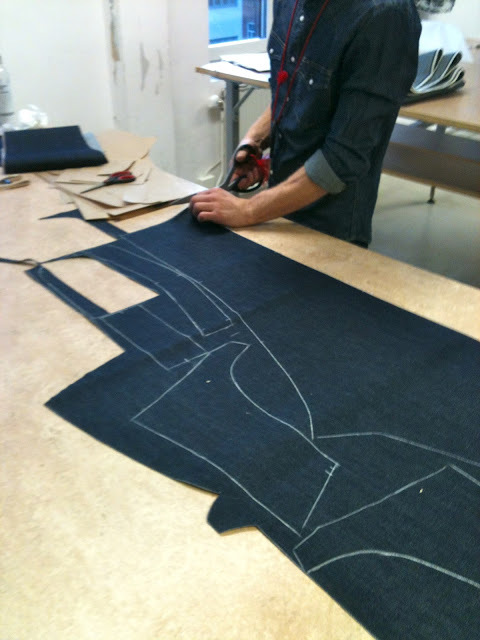 The next step here is to trace it on to a harder paper and also add the seam allowances. With that done it's time to start with the fabric. 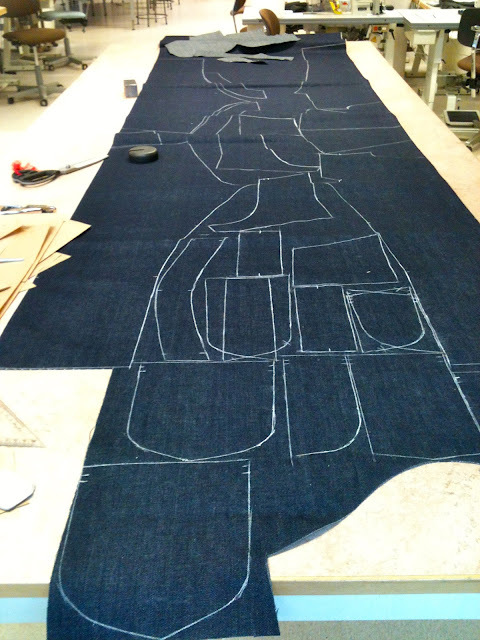 I use the same fabric as I did on the latest jeans and jacket, the 13.5 oz Cone denim with a redline selvage. There's a lot of pieces to cut out. 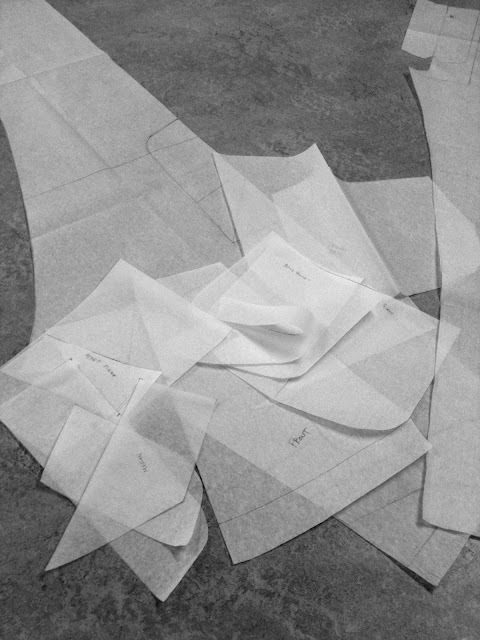 All the pieces are cut out and tomorrow I will start with putting them together.